Aviation Updates Philippines - In the beginning of the second quarter, Cebu Pacific Air reported that passenger traffic grew by 6.6 percent. 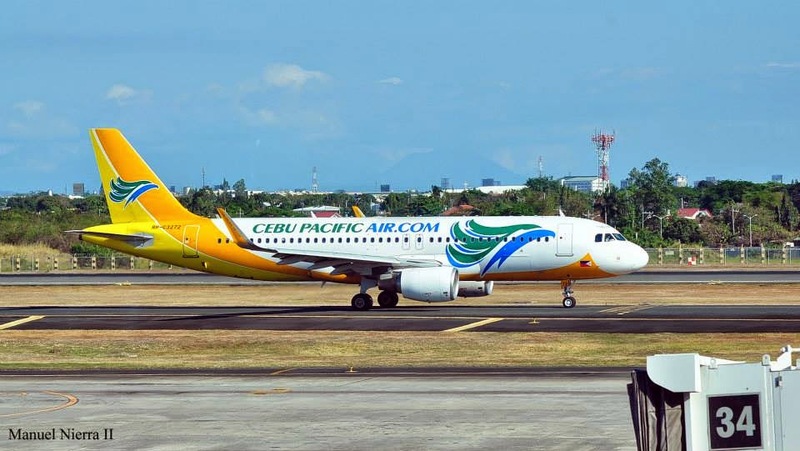 According to the data of Cebu Pacific, it shows that they flew 1.44 million domestic and international passengers in April, an increase of 6.6 percent from 1.35 million in April 2013. Meanwhile, the airline's load factor increased by 0.8 percent to 89.8 percent last month, from 89 percent last year. In January to April period, Cebu Pacific's passenger traffic bumped by 6.1 percent to 5.18 million from 4.89 million passengers last year. However, the load factor decreased to 84.4 percent from 85.2 percent last year. Cebu Pacific spokesperson Jorenz Tanada said that the growth in passenger traffic was because of increased presence in key markets, strategic seat sales offering the lowest possible fares and continuous network expansion. Lance Gokongwei, Cebu Pacific Chief Executive Officer, said that the airline would carry in excess of 15 million passengers this year. Including Tigerair Philippines' passenger traffic, Cebu Pacific targets to reach the goal in flying more than 17 million passengers in 2014 due to the acquisition of Tigerair Philippines. However, Cebu Pacific is eyeing flights to Canada following the successful air talks between the Philippines and Canada held on May 27. "We will certainly want to be competitive in terms of allocations with other carriers, incumbent or otherwise. So yes, we are very keen on flying to Canada," Tañada told BusinessMirror in a text message. Starting June 29, Cebu Pacific will be launching direct Cebu-Tandag flights. Tandag is the capital city of Surigao del Sur and will be CEB's 34th Philippine destination. "We're very proud to be soon launching Cebu-Tandag flights, as part of our continuous commitment to enable everyJuan to fly. We hope that with direct air services to Tandag and our trademark lowest fares, we can further stimulate travel and trade to Surigao del Sur, for the benefit of the local economy," said CEB VP for Marketing and Distribution Candice Iyog. At present, Cebu Pacific's fleet number remains 53, compromising of 10 Airbus A319-100s, 31 Airbus A320-200s, 4 Airbus A330-300s, and 8 ATR 72-500s. Between 2014 - 2021, Cebu Pacific is expected to accept 43 more planes from Airbus.